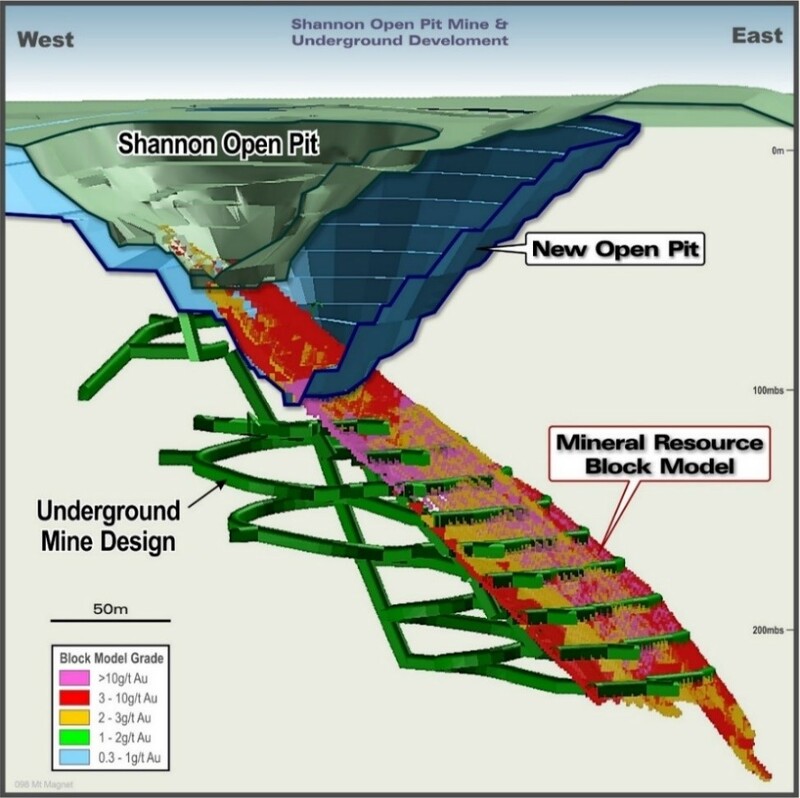 The Shannon underground project will commence after completion of the open pit cutback. The mineralised lode is centred on a quartz vein within a competent granodiorite unit. It is typically 2-8m thick and strikes north at around 015°. It dips east at an average of 40 to 50°. Since October 2016, Ramelius has completed significant down dip RC and Diamond drilling which has defined the lode continuing below the pit for around 300m. The underground Probable Ore Reserve is 324 kt @ 5.2 g/t for 54,000 oz. The decline is scheduled to commence in 2019.